The time has gone when mobile phones were used only to text or call. The technology has gone far enough to allow the people to call, video call, entertain, talk and kill their time with just using a smartphone. These all features have made the current samsung galaxy smartphone, more of the phone and less of the PC, that allows the users to play many intense games, play 4K videos and much more. 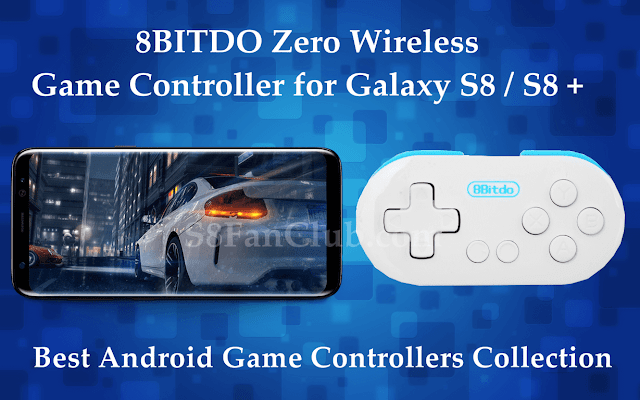 So, if you are a fan of gaming, you ought to be finding the right game controller for your Galaxy S10 to play HD gaming wirelessly. If so, here we’ve rounded up Top 5 of them that you can buy from Amazon. 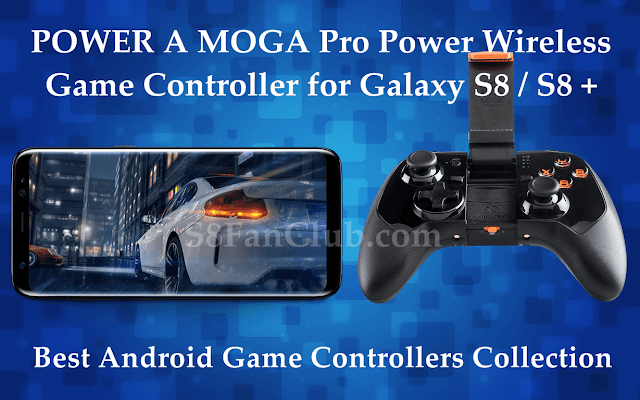 We have had covered Top 10 Best Game Controllers for Galaxy S10 and many more Accessories for Galaxy S10. We have recently covered 10 Best PUBG Gaming Controllers or Battle Royale Gamepads to make you a pro player of FPS & FPP battle royale games. 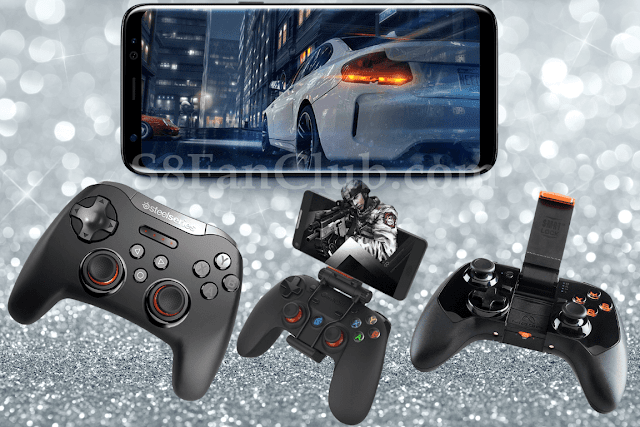 Don’t forget to check out Best HD Gaming Section that covers latest Android games which you can play on your Galaxy S10 / S10 Plus / S8 / S9+ with these gaming controllers. The Samsung Galaxy S10 has provided the gamers with huge HD screen, that can make them enjoy their gaming experience. The best part of the Samsung Galaxy S10 is that it supports the wireless gaming controllers, which delivers almost console-like experience for gaming. So, if you want to experience the same with your Galaxy S8. Check out the best wireless controllers out there. If you want a game controller without compromising your gaming experience and breaking your bank, SteelSeries Stratus XL is made best for you. 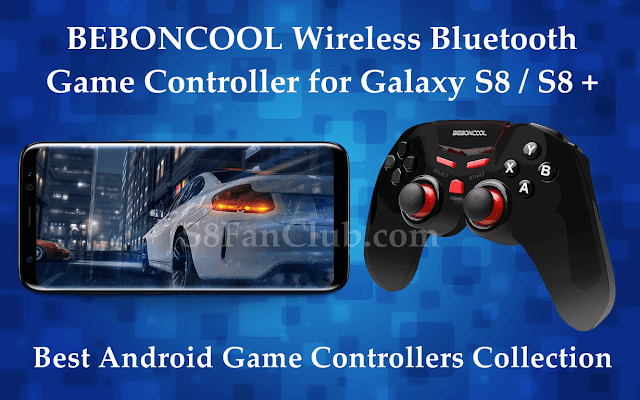 This game controller offers the full compatibility with the Galaxy S8, Samsung Gear VR, and Oculus as well to provide the gamers with the HD, VR gaming experience. The controller is found to be best without any problems like a wiggly joystick, cheap buttons etc. The looks of this controller are impressive enough to make you buy it. It is available in the Black color that supports Android phones at Amazon. If you see white controller from the same company, it is made for iOS powered devices only. Next on the list is the game controller from MOGA. That is arguably the most popular brand for game controllers out there. The reason for its popularity is its comfortable style and precision controls that allow the gamers to enjoy the HD gaming at its peak. The best part of this controller is that it offers the 2200mAh battery. That allows the phone to charge while playing. Not only this, it also offers the micro- B charging cable and a table stand as well. It is available at Amazon. Last but certainly not the least. 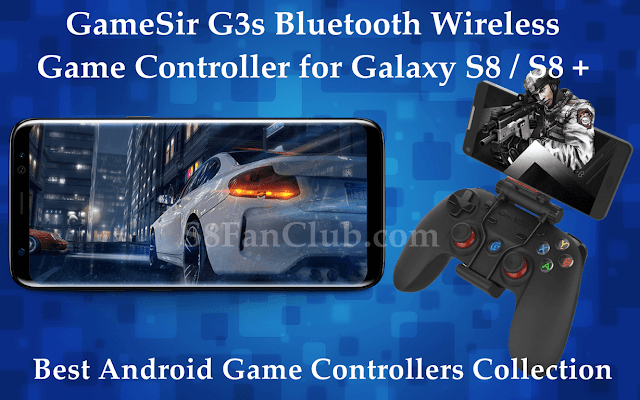 GameSir G3s Bluetooth Wireless Controller is another option. You can have to enjoy your gaming experience at peak. With the exceptional quality, high performance, durable battery and solid design. This controller survives to be on our top 5 list to provide the gamers with impressive gameplay. If you are looking to purchase, you can buy it from Amazon. Standing next on the list is Beboncool Game Controller. That comes in the both red hot and black grace colors. With full compatibility to your Galaxy S8 / S8+ devices. This controller supports a number of popular HD games, allowing you to play your favorites ones. The controller comes with the 5.9” USB long cable, ergonomic and responsive gamepad, rechargeable battery. And free companion APP as well. It is a guide to hundreds HID protocol games in the Play Store, which are compatible with this controller. This controller is available at Amazon. If you are looking for a controller. That is compact in size and fully functional. Then 8BitDo Zero is the best thing that you can have. The controller is compatible with all your electronic gadgets including the Android and iOS as well. This controller offers classic SNES format in a small package that can fit in your pocket or can be hung with your car keys. With the impressive controls and great quality. You would surely take your gaming experience to the next level with this controller. 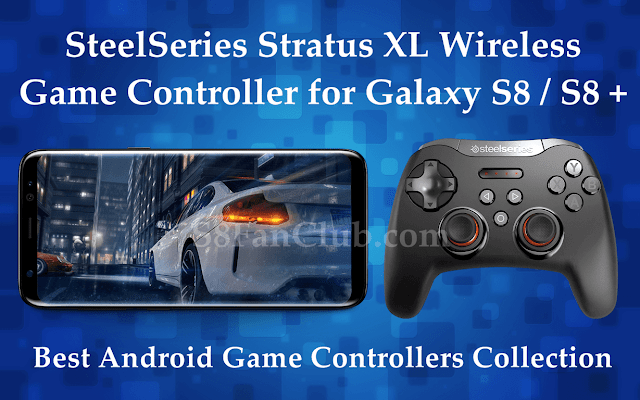 If you were having a tough time finding the best controllers compatible with your Samsung Galaxy S10, S10+, Galaxy S8, Galaxy S8+, Galaxy Note 8, Galaxy S9, Galaxy S9+. Here you go with our top 5 picks. Check them out and do mention your choice in the comments below.